Thrives in semi shade. Needs only 2-3 hours of direct sun a day. Grows well under trees such as poincianas, figs and camphor-laurels. Very Tough- crowds out kikuyu and weeds on original profile red top soil. Develops deep drought tolerant root system where soil profile permits. 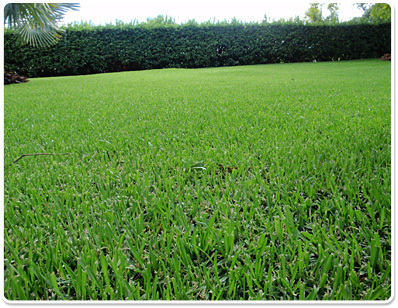 Buffalo is more resistant to lawn eating caterpillars than green couch, blue couch and kikuyu. Very Good lateral growth means it repairs itself fast. Low seed head production. Very good colour when growing in fertile soil. Used extensively by developers and council on roadsides as it is very easily established and very drought tolerant. We have supplied it to many prestigious golf course developments such as 'The Glades' at Mudgeerabah. Also specified on many football arena’s in America. Also the Sydney Olympic sites. 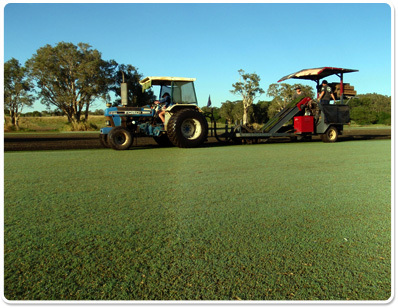 Developed by Australian Turf Breeder but used extensively in California and Florida in the United States. For more info and to discuss the variety that is right for you please phone 02 6684 7380 or ssend us more details via our Contact Form.